Below you fill find all funeral homes and cemeteries in or near Sioux Falls. Suburbs of Sioux Falls: Citibank, Augustana College, Buffalo Ridge, Earth Resources Obs, Ellis, Midland Life Ins Co, Paytrust, Shindler, The Austad Co, Us West Communications, Western Surety Co.
Sioux Falls is also known as: Minnehaha County / Sioux Falls city. Their current mayor is Mayor Mike Huether. Zip codes in the city: 57186, 57188, 57189, 57192, 57193, 57194, 57196, 57197, 57198. Minnehaha County funeral flowers can be purchased from one of the local funeral shops we partner with. Some of the notable people born here have been: Michael E. Fossum (astronaut), Kris Krug (photographer), Mike Martz (american football player and coach), Chris Watton (american football player), Warren Limmer (real estate broker and legislator), Julianne Ortman (lawyer and legislator), and Terry Forster (baseball player). Sioux Falls (/ˌsuː ˈfɔːlz/) (Lakota: Íŋyaŋ Okábleča Otȟúŋwahe; "Stone Shatter City") is the largest city in the U.S. state of South Dakota. It is the county seat of Minnehaha County, and also extends into Lincoln County to the south. 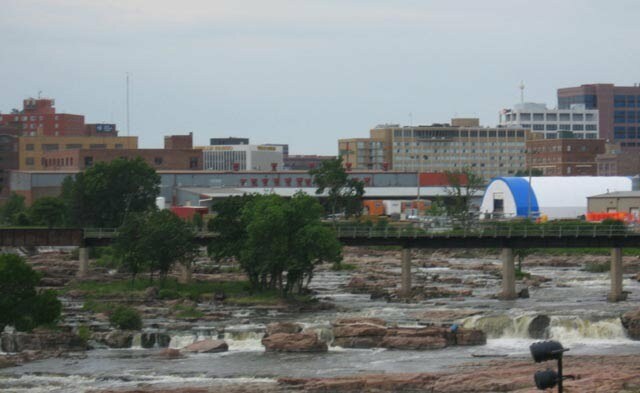 It is the 47th fastest-growing city in the United States and the fastest-growing metro area in South Dakota, with a total increase of 22% since 2000.As of 2014, Sioux Falls had an estimated population of 168,586. The metropolitan population of 248,351 accounts for 29% of South Dakota's population. It is also the primary city of the Sioux Falls-Sioux City Designated Market Area (DMA), a larger media market region that covers parts of four states and has a population of 1,043,450. 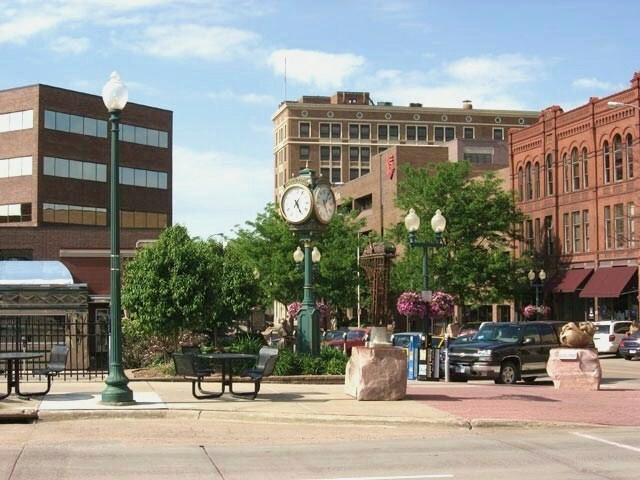 Chartered in 1856 on the banks of the Big Sioux River, the city is situated on the prairie of the Great Plains at the junction of Interstate 90 and Interstate 29. It was written by Register Guard on March 27th, 2019 that Earl Leroy Ford passed on in R, Oregon. Ford was 86 years old and was born in Sioux Falls, SD. Send flowers to share your condolences and honor Earl Leroy's life. It was noted on March 23rd, 2019 that Mabel Klemm (Milleville) passed away in Sioux Falls, South Dakota. Ms. Klemm was 98 years old. Send flowers to share your condolences and honor Mabel's life. It was written on March 13th, 2019 that Chad Michael Wilcox passed away in Denver, Colorado. Wilcox was 49 years old and was born in Sioux Falls, SD. Send flowers to share your condolences and honor Chad Michael's life. It was written by Des Moines Register on February 19th, 2019 that Virginia Claire "Ginny" Pearson (Langin) perished in Des Moines, Iowa. Ms. Pearson was 86 years old and was born in Sioux Falls, SD. Send flowers to share your condolences and honor Virginia Claire "Ginny"'s life. It was revealed on January 23rd, 2019 that Phyllis Marie Gould (Gleason) passed on in Englewood, Ohio. Ms. Gould was 99 years old and was born in Sioux Falls, SD. Send flowers to share your condolences and honor Phyllis Marie's life. It was revealed on January 10th, 2019 that Leonard Edward Eichacker passed on in Sioux Falls, South Dakota. Eichacker was 85 years old. Send flowers to express your sympathy and honor Leonard Edward's life. It was noted on January 9th, 2019 that Robert John Kruse passed away in Sioux Falls, South Dakota. Kruse was 91 years old and was born in Grand Island, NE. Send flowers to express your sympathy and honor Robert John's life. It was written on January 5th, 2019 that Leona Mae Klutman (Clark) passed away in Sioux Falls, South Dakota. Ms. Klutman was 84 years old. Send flowers to share your condolences and honor Leona Mae's life. It was noted by Grand Island Independent on December 27th, 2018 that Terri L "Swede" Harvey passed away in Omaha, Nebraska. Harvey was 72 years old and was born in Sioux Falls, SD. Send flowers to express your sympathy and honor Terri L "Swede"'s life. It was noted on December 2nd, 2018 that BarBara Ramsey perished in Fairfax, Virginia. Ramsey was 84 years old and was born in Sioux Falls, SD. Send flowers to express your sympathy and honor BarBara's life. Planning a funeral is a stressful process. iMortuary hopes to make this experience easier by listing the funeral providers you are searching for. Browse our listings to locate the funeral services found in Sioux Falls including cemeteries, funeral homes, cremation providers, and funeral flower arrangers. Drawn by the beauty of Big Sioux River, the site of Sioux Falls has long been inhabited. There is evidence that the Ho-Chunk, Omaha, Ponca, Missouri, Otoe, Quapaw, Kansa, Osage, Nakota, Dakota, Arikira, Cheyenne and Ioway people all choose to settle in this area at some point in their history. Often villages were built in the same location that previous people had built their villages on. Ronald Joseph Joyce, 74, Sioux Falls, formerly of Mitchell ... He was a member of Holy Family Catholic Church, South Dakota National Guard, Knights of Columbus and served as a Scoutmaster with Troop 72 in Mitchell. He is survived by four sisters: Sr.
Flowerama has been proudly serving Sioux Falls, South Dakota & surrounding communities since 2003. We are located at 3400 South Marion Road, Sioux Falls, SD 57106. We work with local florists and flower shops to offer same day delivery. You will find budget sympathy flowers in Sioux Falls here. Our funeral flowers are cheap in price but not in value.